I'm not sure about you, but every year the best part of summer is the mango season, and inspite of my diabetes, there is absolutely no way that I shall be dissuaded by any doctor to not eat this humble, luscious fruit! 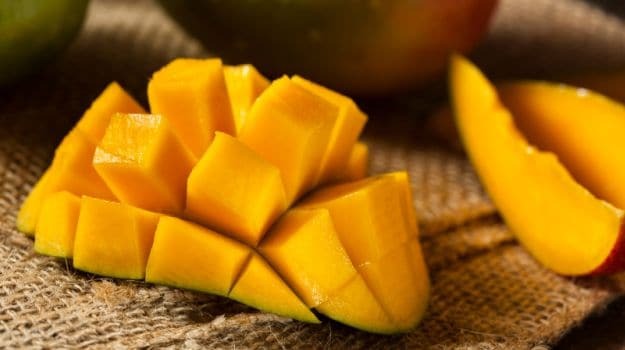 Versatile in nature, mangoes can be used to make many interesting dishes, desserts and drinks, including sweet spicy chutneys, pickles, ice-cream, fruit yoghurts, et al. There is another question that pops up in our mind: should mangoes be soaked and eaten? The answer is, yes! 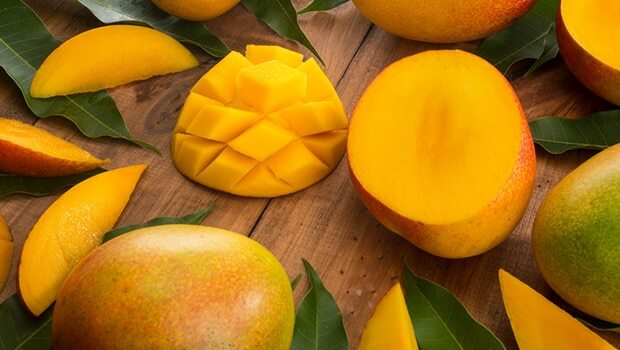 Due to warm in nature, mangoes should be soaked for at least half an hour and then washed again before we eat them. 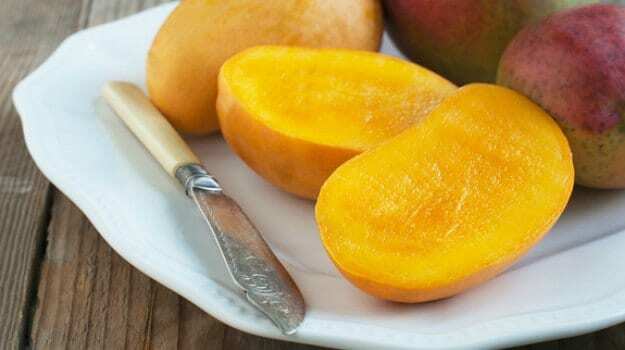 It's a misconception that mangoes are bad for our health in summers; on the contrary, this humble fruit is full of vitamins and minerals that are not only good for our body but also amazing for our skin. Loaded with vitamin A, mangoes are great for healthy vision, skin, bones and other tissues in the body. But, that's not it. This fruit is a power hub of multiple vitamins like C, K and B 6; minerals like potassium, calcium and phosphorous; and other nutrients like fibre, carbohydrates and protein. The anti-oxidant present in mangoes, beta carotene, helps fight free radicals that cause heart diseases. With so many health benefitting properties in mango, did you know that mangoes are also great for our skin? Yes, that's right! Mango is loaded with antioxidants that have anti-inflammatory effects on our skin. Moreover, mango prevents collagen damage. 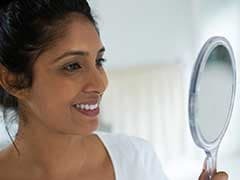 Collagen is a protein that keeps our skin elastic and prevents the signs of aging. The fruit is known to prevent a wide range of bacterial, fungal and microbial attacks on our skin, which is great for monsoon. Since it becomes nearly impossible to use lotions and moisturisers in monsoon, these mango packs will not only bring a glow to the skin but will also help moisturise it naturally! Mix the above ingredients and apply all over face and neck. Leave it for 20 minutes and then scrub it in a gentle circulating motion. Wash off with cold water. Mix all the ingredients well and apply to cleaned skin. Leave on for 10 minutes and wash off. Not only it will make your skin fairer, but will also treat blemishes and dark spots. Whip all the ingredients well together with a beater and store in an airtight container in the fridge. Whenever you are coming from outdoors, massage this lotion all over the face. Not only it will soothe sunburn, but will also help lighten tan on the skin. Unlike coco butter and shea butter, which are popular worldwide as softening and nourishing agents, not many of you would know that mango butter is excellent for nourishing and hydrating the skin. The pulp from the mango kernel contains this rich oil and moisturising agent, whereas mango butter is made from the left over seed, which is mostly thrown away by all of us. This mango butter is used to hydrate the skin, all thanks to the presence of fatty acids both stearic and oleic, as well as omega 9, which are excellent for softening the skin, removing fine lines and wrinkles, and making the skin soft, supple and youthful. Mango butter is also used for chapped and cracked skin and can be massaged onto heels and damaged skin. It melts right away into the skin and can be used effectively for treating stretch marks. 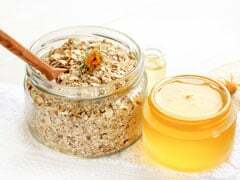 In a double boiler, melt the beeswax and add aloe vera gel, almond oil and mango oil to it. Now, pour the mixture in to a bowl and stir it well until everything has been blended well. Now, add the jojoba and orange blossom oil and mix it well. Pour the mixture into an airtight glass jar and let cool. Use this at night all over the face and body and see the results yourself. So now you have these wonderful mango recipes to protect your skin, look wonderful and fabulous forever!